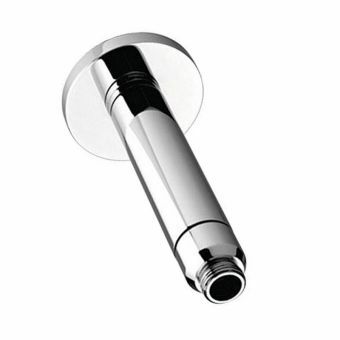 Free DeliveryImperial Bathrooms Flowmaster Fixed Shower HeadFrom £160.00 inc.VATRRP: £200.00 (Save 20%)3 finishes chrome, gold or nickel, the perfect compliment to a matching Imperial shower valve. Free DeliveryImperial Bathrooms Concealed Victorian Thermostatic ShowerFrom £672.00 inc.VATRRP: £840.00 (Save 20%)Period charm for your bathroom in chrome nickel or antique gold finish. Gold lead time 3 to 4 weeks. Free DeliveryImperial Amena Firenze Concealed Thermostatic Valve with Radcliffe HandlesFrom £428.00 inc.VATRRP: £535.00 (Save 20%)White handles with chrome gold or nickel finishes. 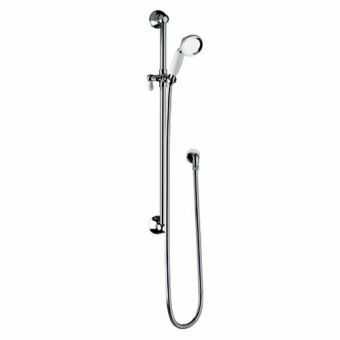 Free DeliveryImperial Quadrata Deco Concealed Thermostatic Shower ValveFrom £428.00 inc.VATRRP: £535.00 (Save 20%)Choice of 3 finishes for versatility in customisation. Free DeliveryImperial Amena Concealed Oxford Valve with Rail and HandsetFrom £596.00 inc.VATRRP: £745.00 (Save 20%)Three finishes, Chrome, Antique Gold or Polished Nickel. Showering has become a daily ritual for many, and choosing the right shower fittings for you and your household is therefore very important. It is something that a number of people may use in their homes each day and can be functional or luxurious. With such use, you need to be sure that the fittings you choose are of a good quality to last over a number of years. 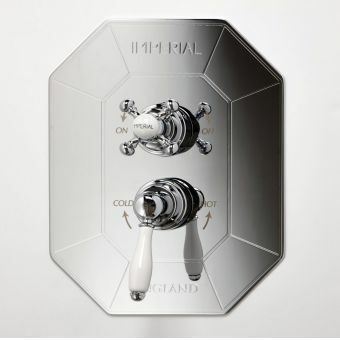 Imperial produces wonderfully designed and handcrafted items in England, promising a strength and weight of brassware that will please the user but is also manufactured to last a lifetime. Of course, it’s not just about how long the shower fittings will last; you will also want to achieve the look that suits your home and tastes and find the type of shower that meets your needs. You may want a different style of shower in your en suite to the one in the family bathroom, for example. 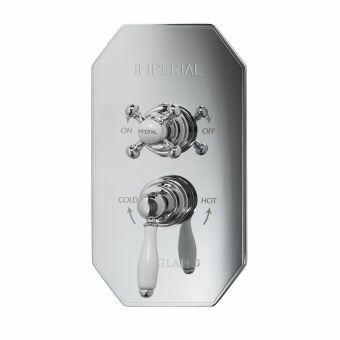 Imperial offers a range of shower fittings, from the contemporary to the traditional. There are also different finishes to suit your tastes or to complement and accentuate the particular colours, tiles and other fittings in your bathroom. There really is something to suit you. You may have an uber contemporary look and feel to your home and want to emulate that in all rooms, including the bathroom. There are plenty of minimal lines and finishes for you to choose from in this instance. You might prefer a Victorian style, or just something more traditional and there are plenty of ranges and options available for this too. All, however, are very functional with excellent control of the flow and temperature of the water. 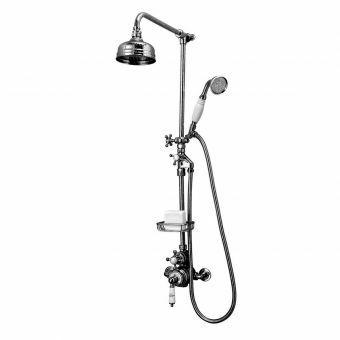 The look may be of a bygone era but the shower experience will be of the 21st century. Apart from whether you prefer the traditional or contemporary options, you will also be interested in things like the size of the shower head, whether or not your shower is adjustable – in terms of height or angling – and how much of the rest of the shower fittings you can see. 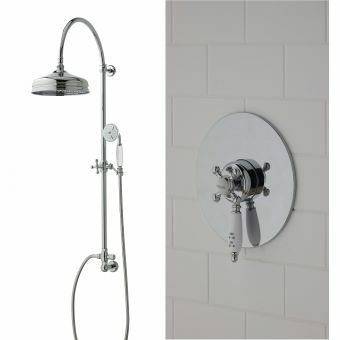 An exposed shower fitting will have a visible pole leading up to the shower head from the valve and thermostat. 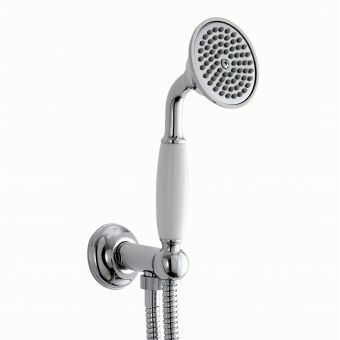 In some cases, the shower head will be fixed and in other cases, you can choose to have one that slides up and down the pole. This is especially useful in a household of many different heights! 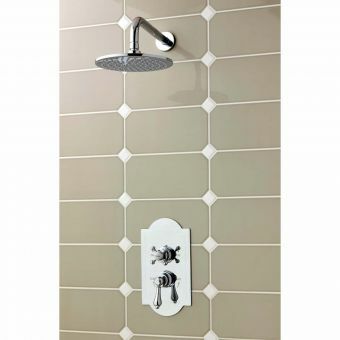 Fixed shower heads might come out of the wall or from the ceiling, and you often need a ceiling shower adaptor if you want to install your shower head in the ceiling. Those placed on the wall come with an arm and can be concealed so that the pipework is all behind the tiling in your bathroom or exposed so that you can see the pipes. 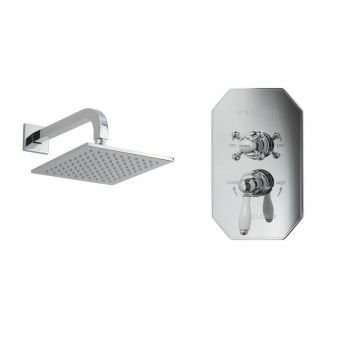 Choosing your shower head (or rose) is another key consideration. How do you like to feel the water when you take a shower? Do you like a gentle rain effect or something stronger and more intense? A larger rose will give a gentler shower as it spreads the water volume over a greater area; a smaller head will make the water flow feel more powerful as it is concentrated. There is also an array of different rose types: large round ones, small round ones, square and rectangular heads are all available. The more traditional styles tend to offer a round head while the contemporary options do have a wider choice of shapes for the shower rose. 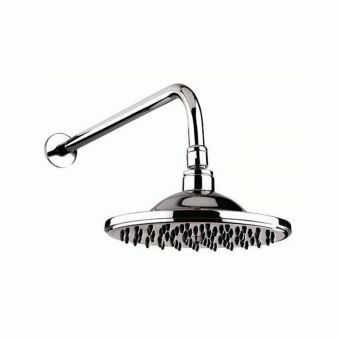 Shower heads are usually between 150mm and 300mm in size. Just as with the shower, you can also have concealed or exposed valves, or taps, and thermostat controls. 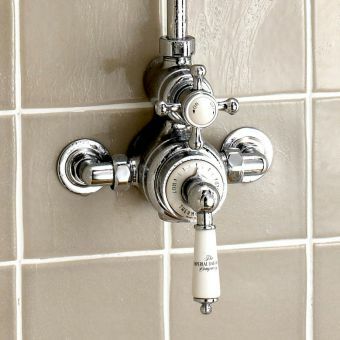 The Victorian thermostatic valve illustrates this well with the exposed option standing a little off the wall with the pipes neatly around it and the concealed version mounted on a plate on the wall with no visible pipes. 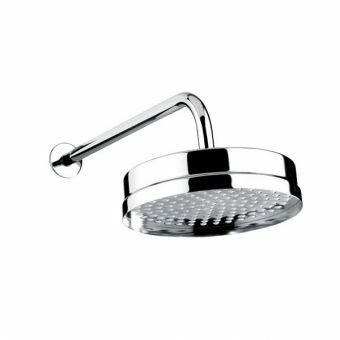 As with your shower head, there are a number of different looks to complement your home and bathroom, allowing you to choose a modern or traditional style and also the finish – most often chrome, gold or polished nickel. You may also choose to have a second shower handset with your main shower. 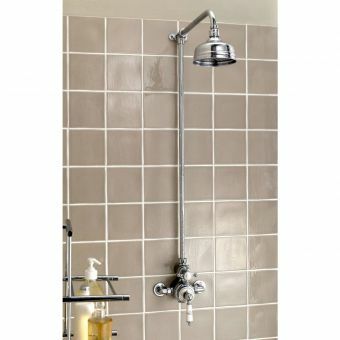 This allows for flexibility of height and range, especially useful if your shower is a fixed one. 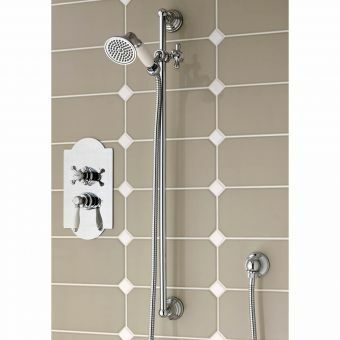 This Victorian exposed shower is a good example, where there is a fixed shower rose but also a handset, in the same style, allowing you to have greater range with the water and hose down your children or the bath! 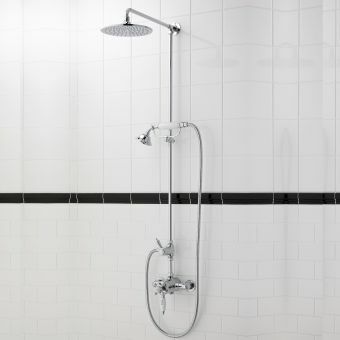 The valves, thermostat and shower head are not the only components of a shower. There are some additional accessories to consider too. Soap holders or shower tidies are popular additions to keep your washing products nearby when in the shower. As with all the other items, these come in different styles and finishes to complement your chosen style. Imperial has a number of collections for you to choose from when designing your bathroom and choosing the type of shower you will have as part of your suite. The products are always of the most excellent quality, combining style with exceptional performance; offering different finishes and sizes to suit the space you have. Made in the UK, its shower accessories are functional, attractive and make sure that your shower experience is a fantastic one, every time you turn it on. This is an outstanding collection, consisting of baths, basins, toilets, furniture and mirrors. Its ceramics are pure white and it has a wonderful angularity that is beautifully complemented by its traditionally styled shower accessories. Westminster showers are a classic circular rose, which can be slim for a more contemporary feel or the deeper traditional rose. 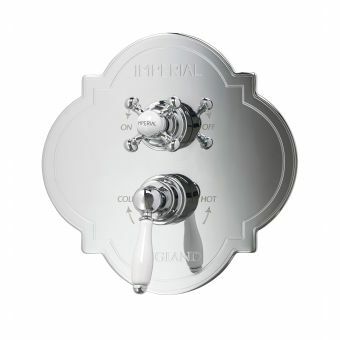 Its thermostatic control valves can be exposed or come in a stylish concealed option backed by a circular plate. Black or white finishes are available on the valve. 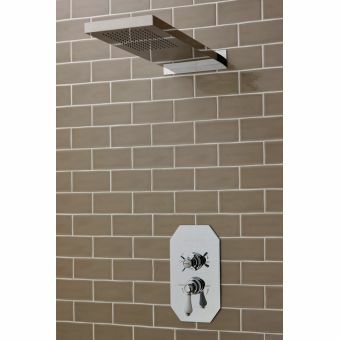 The collection allows for wall or ceiling-mounted showers, as well as fully exposed options where the shower sits on a pipe – or rigid riser – on the wall. Amena has traditional circular roses as well, offered as slim or larger fitting heads. 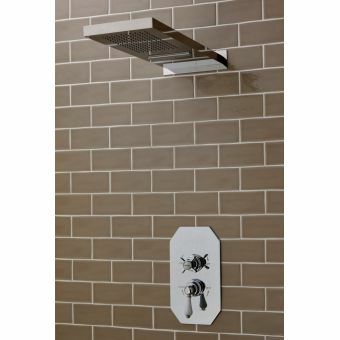 It has sliding kits for an adjustable shower option alongside the fixed ceiling and wall mounted choices. The real choice with Amena is about which backplate to choose. 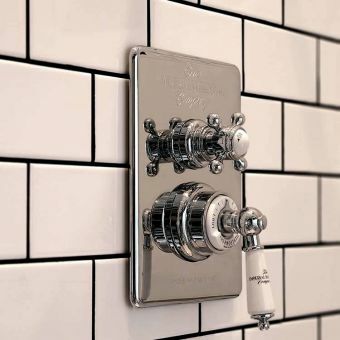 These delightfully designed backplates are a real feature in the bathroom and show off the attractive valve and thermostat to their best advantage. Slim and rectangular or more curvy but diamond in shape, the concealed dual control and valve lever can be finished in metal or black or white ceramic, as you wish. Quadrata is sleek and stylish; sharp, straight lines combine to deliver a wonderful contemporary look. 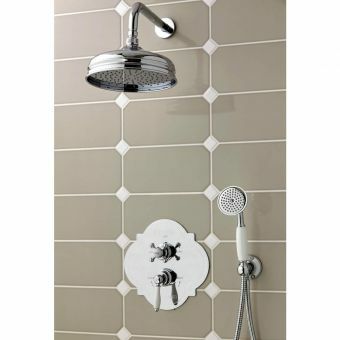 Shower heads are square or rectangular and some options offer a rainfall outlet. 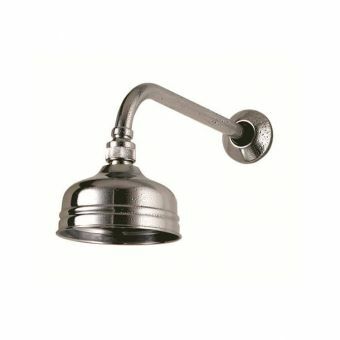 Available as a wall or ceiling mounted shower with a hand shower kit a possibility for a bath or as an extra to the main shower. 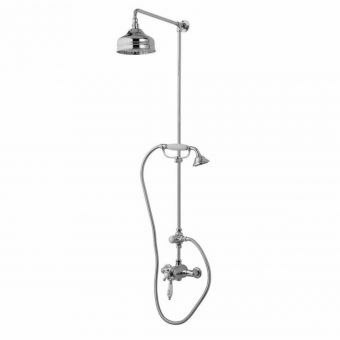 The showers are truly minimal with concealed valves and thermostats as well as shower heads. The eye focuses solely on the straight lines of the rose or on the stylish backplate and its controls. Not only is the look minimalist, but cleaning is easy too as there are no complicated pipes and corners. Quadrata is available only in chrome but the controls can be finished in metal or black or white ceramic, according to your personal tastes. 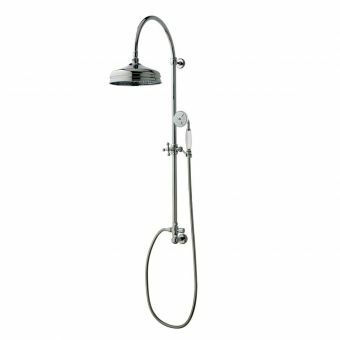 As the name suggests, the Victorian collection is traditional in design but offers 21st-century technology, giving a powerful, thermostatically controlled shower. 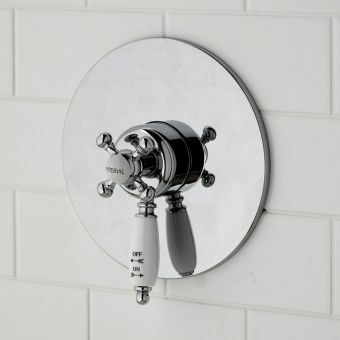 Wall and ceiling mounted shower roses come in both a traditional and a slim size and the range offers concealed and exposed options, as well as several exposed shower options. 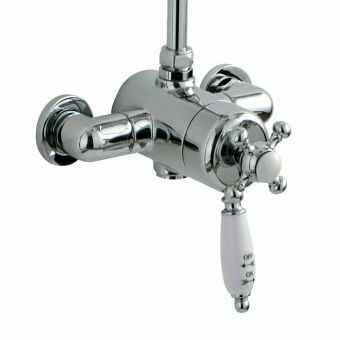 Valves and thermostats are also available as concealed – and mounted on stylishly simple metal plates – or exposed, with beautiful attention to detail around the setting that plumbs into the wall. This is a popular and flexible option, traditional but sleek and works in a variety of bathrooms and homes. 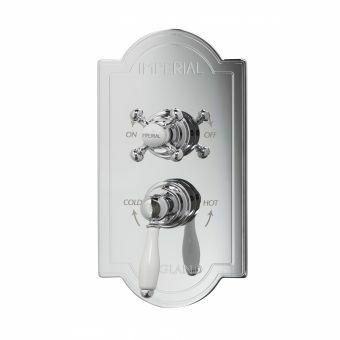 Finished in chrome, antique gold or polished nickel, the Victorian Collection allows for black or white porcelain and metal finishes on the thermostat and valve. We promise that these fantastic Imperial collections won’t make choosing easy! Whichever range you do decide to have in your bathroom, you are guaranteed a high quality, beautifully designed shower that gives you a wonderful shower experience. They will be a stylish feature in your bathroom, while also being functional and the quality of the product means that you can be sure of it lasting a long time. Some of the deciding factors might be around whether you want exposed or concealed fittings, as not all of the ranges offer a choice. Or your preference for contemporary versus traditional may be the dealbreaker. You can be confident that the finished shower will look great and Imperial’s pieces, whether traditional or contemporary, are classic and will continue to reflect your chosen style and deliver great showers for you and your family. Do contact us if you have any questions or need advice before making your decision about which shower to choose. Call or email us and we’ll be on hand to try to make the choice easier.